Classy Stitches® is your one-stop-shop for Custom Apparel Decorating. Whether you are looking for Custom Embroidery, Screen Printing, or Vinyl Heat Press Services , we have you covered. We offer the greatest selection of apparel options for your business, school group/club, or organization. 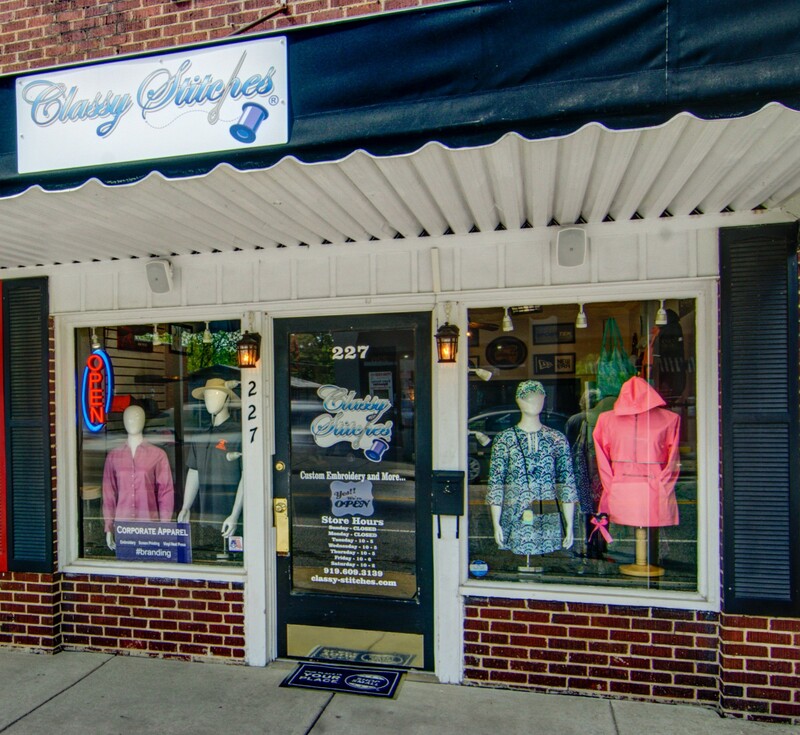 Our goal at Classy Stitches® is to provide you with the highest quality garment decorating. Customer Service is our top priority and we take pride in EVERY garment we decorate. We look forward to providing you with high quality custom apparel.